Corporate accommodation rentals and corporate venue-finding services in Cannes, Barcelona, and other major European cities with Akommo. 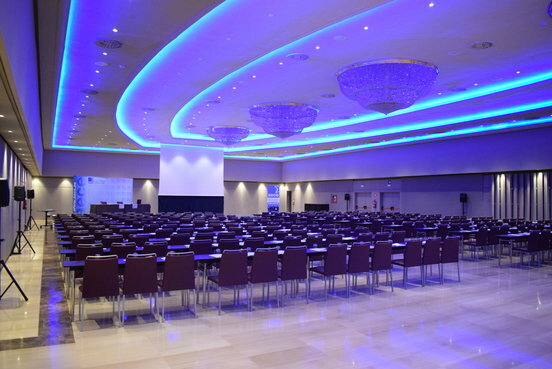 Akommo provides secure corporate accommodation and event venue services for major Cannes conferences, Barcelona fairs, and other European corporate events. Our international team delivers personalised service to event professionals all over Europe. We understand that booking group accommodation or organising events can be hectic, so our mission is to make your next corporate event experience less stressful! Let us take care of the details so you can enjoy your next event. Take a look through our venues, and let’s start planning your next event! Over the past 10 years we’ve acquired market expertise and local knowledge on conferences in Cannes, Barcelona, and other major European cities. Akommo works with trusted local partners in the industry to deliver enjoyable and unique corporate event experiences. We aim to provide a wide range of suitable options to meet your corporate event or accommodation needs. Your dedicated account manager will find suitable options for you within 48 hours of the request. Let us do the searching! We manage all correspondence, contracts and conditions for you and your team - not to mention that we negotiate the best possible rates and benefits, too. We’ve been in this business for more than 10 years and we’re proud to have found the most trustworthy international partners. Are you booking for a group and don’t know where to start? Let your free account manager take care of your booking needs - then sit back and relax. We save companies hours of time by finding their group accommodation solutions. What will you do with all that free time? We’ve been there, and we know event organisation can be overwhelming. That’s why our dedicated team offers on-site 24/7 support, completely free of charge. From personalised accommodation check-ins to on-site event support, we’re here for you during your next event in Cannes, Barcelona, or any other European city. Are you looking for group accommodation, or venues in several different cities? As your single point of contact, we’re right there with you until the very last contract has been signed. We also provide a complimentary post-event review to ensure you’re satisfied.